Jen, I think this will be a great meme, thanks for setting it up! 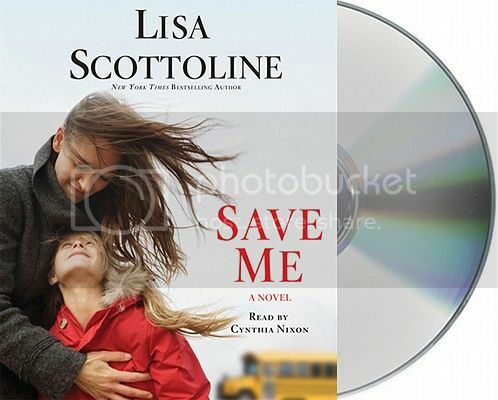 Save Me sounds like it packs quite the emotional punch! Isn’t it funny how things you might not even notice become annoyances when you hear them? I’ve had that happen with a couple of books. The last one was an author who used the word ‘chagrin’ way too much. Lisa Scottoline is an author I’ve never read, but maybe I’ll give this one a try. I have heard a bit about this book, and wouldn’t mind trying it on audio. Cynthia Nixon wouldn’t be my first choice as narrator either, but it sounds like she wasn’t too bad with this story. I have to admit that the premise of this one does intrigue me. Great review today! This book started out strong for me, but didn’t end that way. It was okay, but it was like it was trying to be two different genres. What an interesting premise for a book. 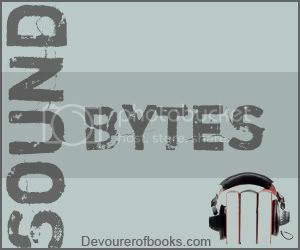 Because of your meme, I’m thinking more about the audiobook narrators and how they bring out things we might have missed while reading – both bad & good. But maybe dense, referring to me..has a point too.